Dream Journal Ultimate is the largest dream database in the world. Enter as many dreams as you would like for free, no limits. 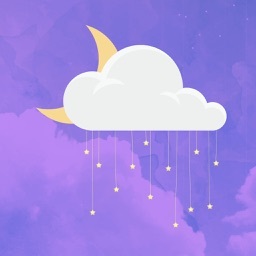 For any dream you enter, you can keep it private or share it to the Dream Wall, a dream based social network where you can share your dreams with other users to get feedback. Share as many or as little as you want. 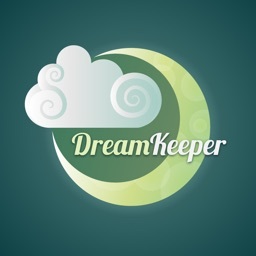 The worlds largest dream database gives an unparalleled connection between dreams around the world. Have an interesting dream last night? 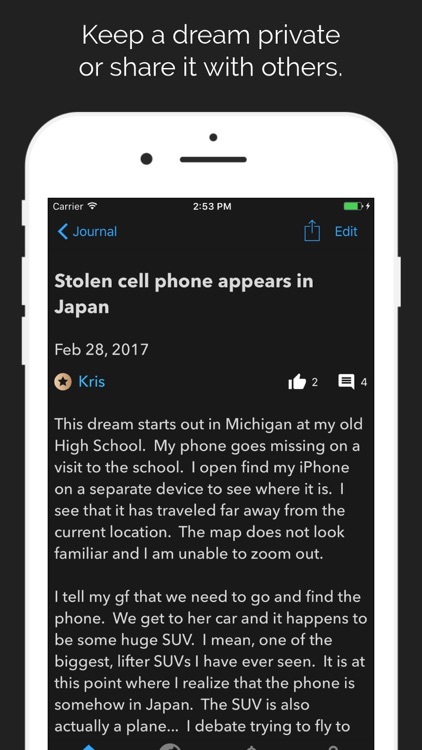 Dream Journal Ultimate will automatically analyze your dream for common themes and show you similar dreams from around the world. - Sync dreams across all your devices. - Secure dreams with a pin on each device. - Add tags to dreams. - Share dreams to the Dream Wall. - Read public dreams on the Dream Wall. - Comment and like public dreams. 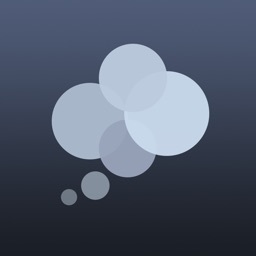 - View dreams similar to your dreams. - Set reality checks to check if you are dreaming. - Set a reminder to write in your dream journal. 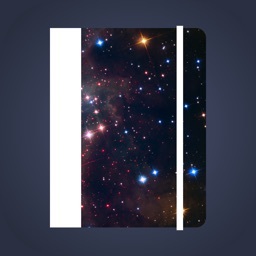 Dream Journal Ultimate includes a simple but powerful dream journal. 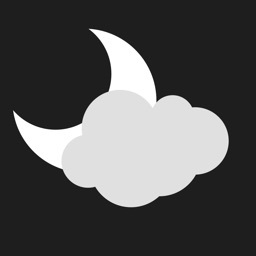 You are able to log all of your dreams into the app. You can also keep your dreams a secret by locking the journal with a pin. You can conveniently enter new dreams from the home screen without requiring a pin, this is to make it easy to enter dreams but nobody will be able to read the dreams you enter if you pin secure them. Have a dream that you wish to share with others? You can make any dream a public dream. The dream will then appear on the dream wall along with other public dreams. 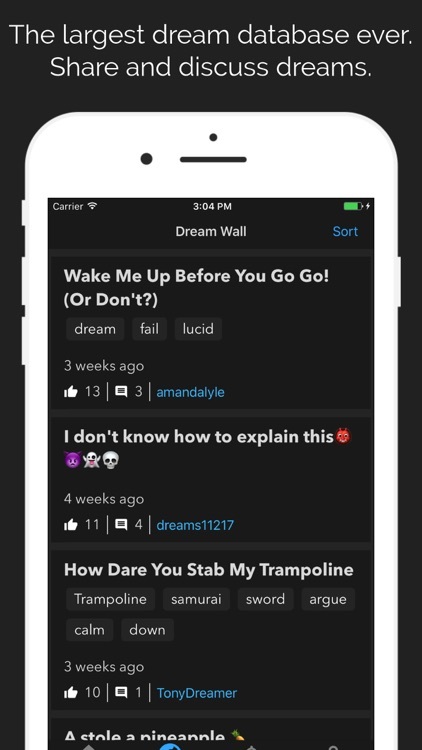 You can comment on and like the dreams of other users or read the comments that users leave on your public dream. 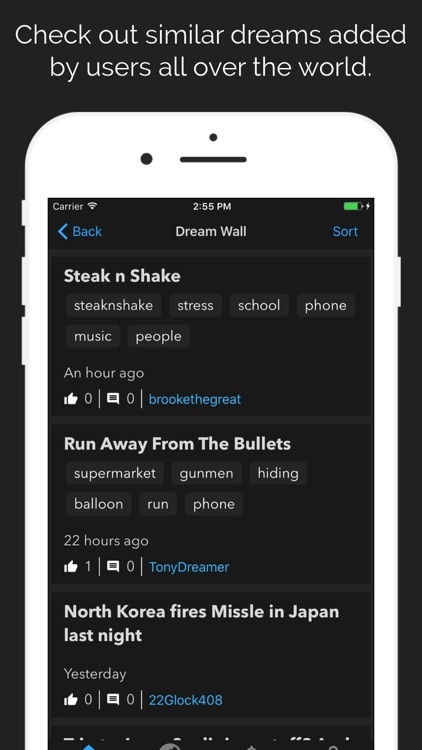 The dream wall is a dreaming social network built right in! 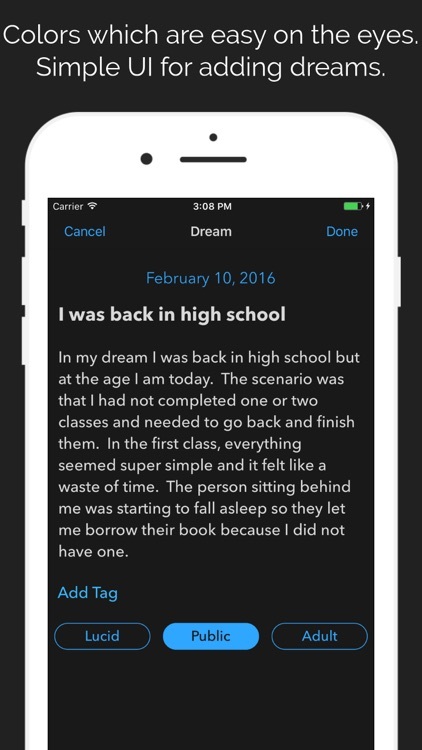 Dream Journal Ultimate is the perfect app to help you get into lucid dreaming. Reality checks are one of the best ways to become lucid during a dream, Dream Journal Ultimate makes it easy to set reality checks for the day and night. The day reality checks are there to remind you to check if you are dreaming during the day. You set at what time you want the reminders to occur between. You also choose the time interval for the reality check reminders. The night reality checks are there to attempt to trick your mind into checking if it is dreaming while you are dreaming. As you get used to the tone of the reminder, hearing the same tone in your sleep will increase the chances that you check if you are sleeping while you are in a dream. Reality checks do not require the app to be running at all for them to work, they use the phones native notification system. Dream Journal Ultimate is free to download and use. You can support the further development of Dream Journal Ultimate with a monthly auto-renewing subscription. This will help us build more features and pay for server usage. Subscriptions will be charged to your credit card through your iTunes account. Your subscription will automatically renew unless cancelled at least 24 hours before the end of the current period. You will not be able to cancel a subscription during the active period. You can manage your subscriptions in your iTunes Account Settings after purchase. 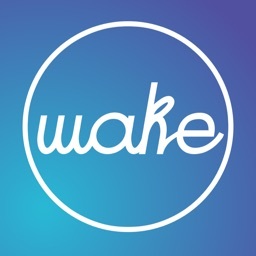 If you like the app, please support it by rating and writing a review.